When you think of a tequila bar in London, what springs to mind? Stumped? You’re not alone. 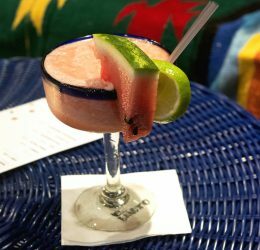 There are of course regular events such as TequilaFest, which we covered last year here (link here), but London is scraping the barrel when it comes to specific tequila bars. Enter El Bandito. Having conquered the Liverpool drinking scene (with six bars already part of the Graffiti Spirits Group), business partners John Ennis and Matt Farrell have brought the El Bandito brand to London. A recently launched pop-up in the basement of The Drunken Monkey in Shoreditch sees their new home until mid-June. With only three booths and a smattering of tables dotted around the dimly lit space, there is a vibe of an illicit drinking den. This is exactly where one might expect to find a good bottle of Mezcal or Tequila being passed around. The drink menu features an impressive collection of approximately fifty tequilas and twenty-five mezcals, including specialist brands not available anywhere else in the UK. The team have designed a drinks menu that comprises an extensive selection of cocktails (although feel free to ask for your own creation). With this focus on rare and high-quality tequilas and mezcals, El Bandito aims to educate and inspire drinkers about these often-misunderstood spirits, such as those from the El Pandillo distillery, along with Partida; an all-natural premium tequila. From El Bandito’s pop-up menu, here are our favourites. And of course (frozen) margaritas are available in abundance. El Diablo (£7.50) is a more potent Mezcal mix, with ginger and blackcurrant. Our advice, drink slowly and savour. If nothing on the menu appeals or if new to the tequila and mezcal, flights are available to provide a tasting of different varieties with information from the barmen. 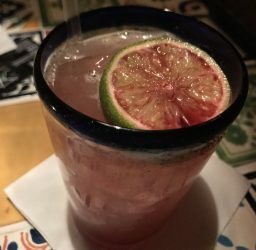 Also if, like us, a favourite cocktail doesn’t traditionally contain tequila, the El Bandito boys will do their best to accommodate. 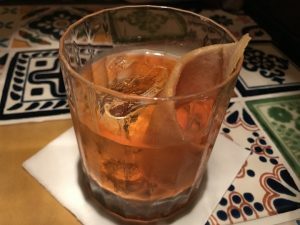 We received a Negroni made with mezcal rather than gin, giving a very smokey smooth finish. El Bandito is open every Tuesday – Sunday until mid-June in it’s current location: 222 Shoredith Hightstreet, London, E1 6PJ. For more information or to book a table, visit elbandito.co.uk.